An elegant and welcoming B&B situated in the heart of picturesque Delta. Ideal destination for travellers seeking accommodation near the Tsawwassen ferry terminal, Vancouver International airport, downtown Vancouver, and USA border. Experience quiet surroundings and friendly accommodation in this warm and inviting home. 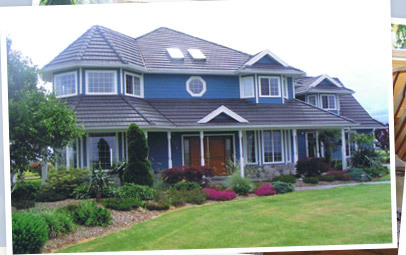 This country retreat is a purpose built B&B, custom designed heritage style home with panoramic views of Mt. Baker and the North Shore Mountains. Located in a country setting yet easily accessible from all major routes and close to all amenities and attractions. Its central location makes it convenient for visitors arriving to or from Vancouver Island and Vancouver airport, or a place to stay before taking a flight home. Easy stop for travellers coming from the interior that need to carry on to their destination. 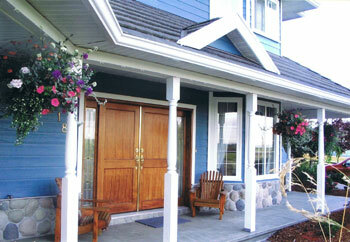 Use this B&B as a home base for exploring and making daily sight seeing trips to Vancouver, Fraser Valley, Whistler. Out of town guests are also welcome.